Free Label Designer, a "little brother" of award winning CD Label Designer, is application that will help you to design and print CD jewel case and DVD box labels and round disk labels. 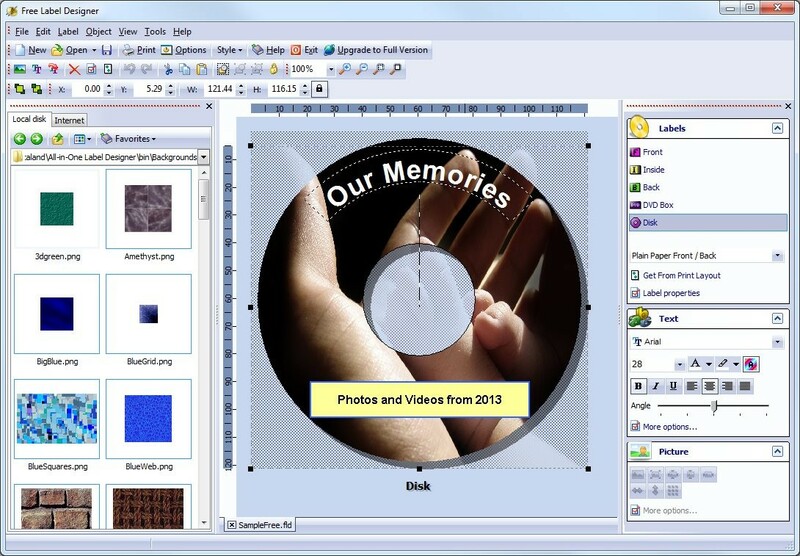 It supports images, texts and circled texts allowing you to arrange, change size, angle and transparency of objects. You can also customize printout positions and make different print layouts and exchange them with others, and you can customize printout positions. Very easy to use.